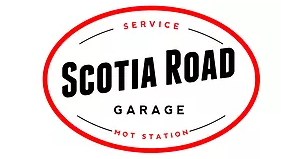 Scotia Road Garage was founded by Paul Lawrence and Phil Roberts after more than 25 years in the Volkswagen network. Between us, we have more than 50 years motor industry experience and you can be sure that we have the relevant knowledge and experience to maintain your vehicle to the highest standards. Our aim is to provide you with the same high standard of workmanship you would expect from a franchised dealer, just without the frills - saving you money! Garage Response: Glad to hear and thank you for the review. Garage Response: Thanks for the review, we really do appreciate it. Glad to hear you received a great experience and look forward to seeing you again. Book your car service, repair or MOT at Scotia Road Garage. It’s simpler than ever to book your car in at Scotia Road Garage online. All it takes is a few clicks right here at bookmygarage.com. Why not book the service or repairs you need today? Scotia Road Garage is one of the very best garages in Stoke on Trent, providing MOT’s, car services and repairs to the whole of Staffordshire. This independent garage works on all major car brands with access to the parts you need to get your car back on the road. You could drive to Scotia Road Garage in Stoke on Trent and make a booking but that takes effort, time and petrol money. With bookmygarage.com, you can book a Staffordshire garage in seconds, from the comfort of your own home or anywhere else besides. It’s the quickest and easiest way to find a garage for car services, repairs or MOTs and get the job done. bookmygarage.com allows you to make an informed decision, before you part with your hard earned cash. You can check out opening times and directions to Scotia Road Garage from wherever you are. You can also read honest, independent feedback from the garage’s previous customers. Ready to book a job at Scotia Road Garage? All you have to do is enter your car registration and tell us if you need a service/MOT or if you have car problems which need to be repaired. Next, we’ll give you a price and you can make a booking in seconds without leaving the site. It couldn’t be simpler. Get your car back to its best today with Scotia Road Garage and bookmygarage.com.